"Imported precious enter+painment" by Rahul Talukder, Bangladesh. In these dangerous times, what language and medium can we, the youth, resort to, to voice out our emotions so that we are finally heard? Is it our songs, our art or simply our words? In the aftermath of unjustifiable violence and injustice against the people and the young people of the country, the art of photography provides us with the language of 'ashimsa'- a language that delivers our thoughts with non-violence and subtlety, yet with passion. Young photographers approach life artistically and intellectually. By doing so they do not get better at living life, but they become involved with expressing their views and discussing important and meaningful things in life that are so relevant when the bigger schemes of things are considered. For the first time, Bangladeshi Photographers (BP), the first online photographic base of Bangladesh and Student Art Association (SAA) of Massachusetts Institute of Technology (MIT) of Cambridge, USA have jointly organised a two phased photography exhibition project titled "Globalization-- A Bipolar Story”. The exhibition will take place both in Bangladesh and Cambridge, USA. 'Law of Similars' by Md Huzzatul Mursalin, Bangladesh. 'Rising of hazardous industries instead of farming' by Abdul Aziz Apu, Bangladesh. We live in a much globalised world. The moment we switch on our TV, the moment we access internet, we take part in the process of globalisation. Due to globalisation, it has become easier for students to study and travel abroad. However, can globalisation be the solution to everything? We, of course, cannot overlook the negative sides of such a phenomenon, especially in Bangladesh, which has a completely different reality than that of a developed nation like the USA. People equate globalisation with progress and development, and often times these concepts become definitive and standardised, for which it is important to understand that they require revisions and redefining. We start relying on 'developers' for more urbanisation, on industries for more cars and on 'first worlds' for more solutions. The Government makes promises of forming a 'digital' Bangladesh, and does not provide young people the facilities and a safe environment to grow as future leaders. Of course we have a digital, globalised Bangladesh, with billboards of racist advertisements on skin lightening creams and butchered up mountains and polluted, encroached and privatised rivers for more and more buildings, factories and dams. The young photographers of Bangladesh have approached the concept of globalisation with unabashed criticism, representing both the good and bad influences and effects of globalisation in the Bangladeshi lifestyle. They have depicted how a homeopath doctor in a rural setting takes help from the internet for his practice, how young girls in conservative families gain passive liberty and agency through their access to media and also how corporate globalisation has changed the landscape of Bangladesh through hazardous industries and the build-up of gaping disparity between the rich and the poor. Photographers were asked to submit portfolios with detailed captions for each photograph. 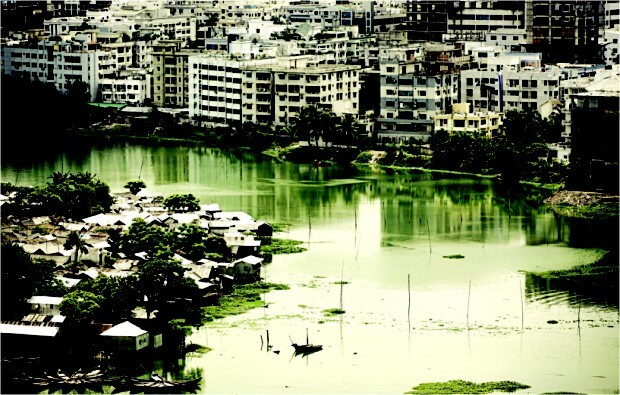 'Globalization - A story of rivers' by Adnan Arsalan, Bangladesh. The concept of the exhibition is the brainchild of Raqeebul Ketan, a Bangladeshi senior student at MIT. He is majoring in Aerospace Engineering and Economics. Ketan was selected for a solo exhibition at MIT, but he decided to choose his individual platform and privilege to submit a proposal of the joint exhibition to the SAA. The SAA provides instruction and studio experience in the arts at the novice and intermediate levels in an extensive range of media. The programme is designed for MIT students, though all MIT affiliates may participate. “I was looking for my own exposure. But I also wanted Bangladeshi photographers to have that same, international exposure. I took this initiative with the hope of promoting photography as a medium of expression for contemporary issues. I expect that the exercise of thinking, photographing and writing on globalisation would encourage participants to be creative and would allow them to combine multiple skills. I am very excited to showcase the work of our talented Bangladeshi photographers at MIT, and I am equally thrilled to showcase the work of US students here in Bangladesh!” says Ketan. He applied for the Council of the arts at MIT (CAMIT) grant, which is a fund donated by MIT alumni to finance art and cultural projects and events. 'The Grim Reapers' by Md Zabir Hasan, Bangladesh. The expenses of both the exhibitions will be covered by the proposed budget Ketan submitted, which got approved by SAA. Ketan contacted some of the admin members of BP to get the support he needed to carry out the exhibition in Bangladesh. Renowned photographers like Mohammad Moniruzzaman and other admin members of BP helped Ketan budget the exhibition in Bangladesh. 'One brand to unite them all' by Paulina Mustafa, USA. Sam Magee, the Coordinator of Student Arts Programs at MIT will be one of the coordinators of the exhibition that will take place in Cambridge. “Globalisation is a pivotal issue in the world today and a well-chosen theme. Ketan's decision to present two photography exhibits -- one in Cambridge and one in Bangladesh -- is a fresh and fitting way to render the impact of globalisation: through images viewed in two significantly different cultures. These exhibits provide students and professors with an opportunity to explore aspects of globalisation such as consumerism, climate change, or cultural fusion from a wide variety of perspectives, broadening our collective awareness through art,” says Magee. 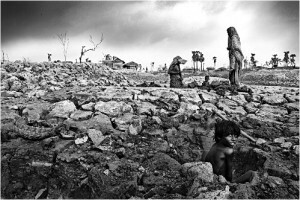 Regarding what he expects to see from the Bangladeshi photographs he says, “I expect to see many individual perspectives. I hope to see vivid imagery that tells a story about the reality of globalisation, and to see that story told from many vantage points”. 'Global Family' by Raqeebul Ketan, USA. Along with Mohammed Moniruzzaman, renowned photographer M R Hassan was also in the judge's panel for the selection of the Bangladeshi exhibits. “We wanted to see how the photographers engaged themselves through the photographs they took. We wanted to see to what extent the descriptive captions and the photographs were in sync. Lots of young photographers participated. 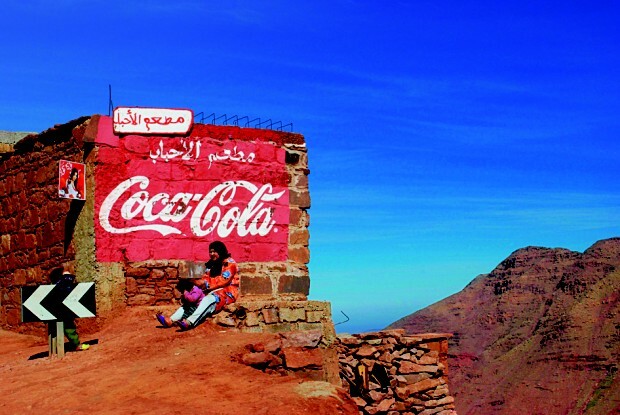 These photographs are their intellectual and artistic interpretations of globalisation," says Hassan. “Almost 70-80% of the Bangladeshi participants are students,” says Kazi Tahsin Agaz Apurbo, coordinator of the exhibition that will take place in Bangladesh. “Globalisation is inevitable, we can't stop globalisation. We should take advantage of it and think how we can integrate globalisation in our culture in a positive way. 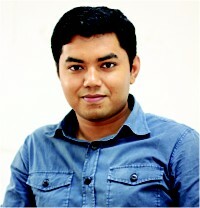 The application and the process determine the effects of globalisation”, says Md Zabir Hasan, a medical graduate from Shaheed Suhrawardy Medical College and one of the participants. 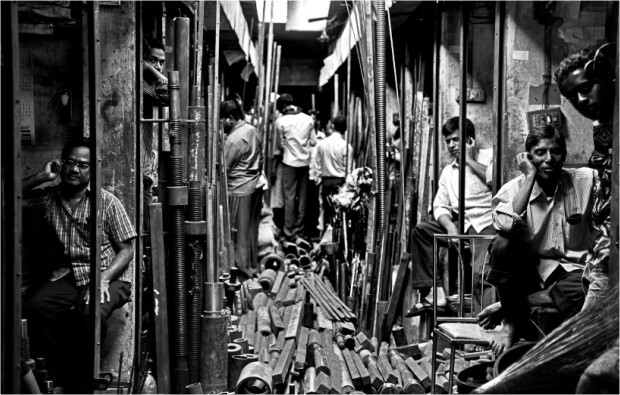 “In my photograph I have shown how people in our country create something new out of components from different parts of the world," says Hasan who titled one of his photographs “The grim reapers”, which portrays the life of the people in Dholaikhaal, Old Dhaka. 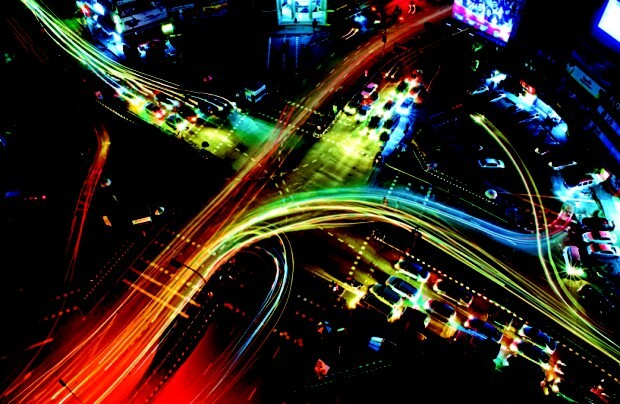 The exhibition has already started in Bangladesh at the Dhaka Photography Centre and will end on September 13, 2011. In Cambridge the show will be held at the Wiesner Student Gallery at MIT for the entire month of February 2012, with an opening on November 2011. 'Global motorization' by Darshan Chakma, Bangladesh. 'Climate Migration' by MR Hasan, Bangladesh. Only a couple of days back, during his visit to Bangladesh, Dr Babatunde Osotimehin, Executive Director of United Nations Population fund (UNFPA) promoted the idea that the young population should be put at the centre of the coutnry's development. He said that the youth should be listened to and be given the platform to participate, and that it is crucial to take advantage of the energy carried by young people, channelling it to productivity and creativity. This exhibition is one such attempt to hear, channel and globalise the voices, the dissent, and the thoughts of the young people. More initiatives like this will give more exposure to the young people who are not scared and ashamed of expressing their thoughts about the reality of their country. By expressing their views, they have in a way started to take part in the political act of finding out solutions for the nation.